Q – Why did you audition for All Shook Up? A – I auditioned for All Shook Up, because I really love musicals. I also love the idea of singing Elvis Presly songs in a different context and now that I know who’s in the cast, I know I made the right decision. Q – What shows might people have seen you in before? 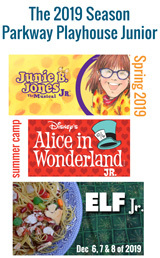 A – On Parkway Playhouse’s Mainstage: The Music Man, Annie, Outlander, Along About Sundown, Robin Hood, 9 to 5, Peter Pan, The King & I. I was in the first three Parkway Playhouse Junior National Award Winning Shows: Bugsy Malone, Jr., Pirates of Penzance, Jr, and Disney’s Mulan, Jr.
Q – What is a typical day like for you? A – I attend Brevard College as a Theater Performance Major and this summer I’m an intern at Parkway Playhouse; working in the shop, helping with props, refocusing lights, etc. Nothing is better than creating a world that people can observe and step into, even if it’s for an hour or two. Q – What has been your favorite moment from rehearsal thus far? A – My favorite moment from rehearsals was when Ami Pisano choreographed Jailhouse Rock. It’s an All Male dance, but I filled in because I’m co-Dance Captain with Peyton Yearick. It’s the very first number the audience sees and it’s like a burst of energy and fun. I cannot WAIT for everyone to see it. Q – What is your favorite line from the show? A – Any line that Dennis says is my favorite. He’s definitely a relate-able character when it comes to talking to people he likes. He’s just so awkward and he tries so hard to be cool. Q – What’s the #1 reason someone should see this show? A – You should see this show because everyone has fun and every moment is exciting. It’s time to bring the Elvis Presley songs back. Sing with us, laugh with us, and feel energized with us! 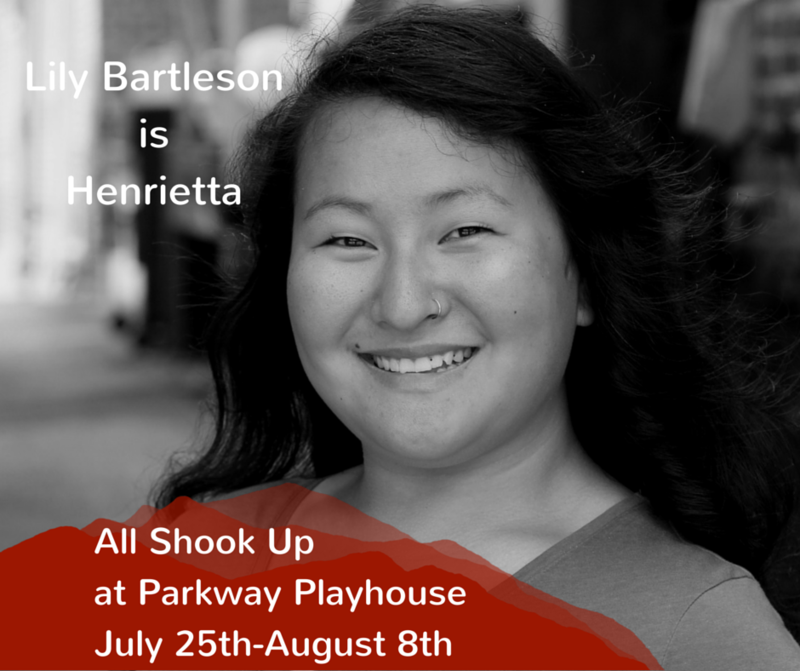 Come see Lily and the rest of the cast of All Shook Up July 25th-August 8th!